We delight in conducting marriages in church - and believe there is no better place to "tie the knot" than at the heart of this community - in its parish church, before God. If you would like to book a wedding at Taranaki Cathedral, please contact us by phone (06 758 3111) or email (peter@taranakicathedral.org.nz),or come to the church on a Sunday morning and talk to our Dean. St Mary's is closed for earthquake strengthening but weddings can take place in the Interim Cathedral in the Peace Hall on Vivian St, New Plymouth. 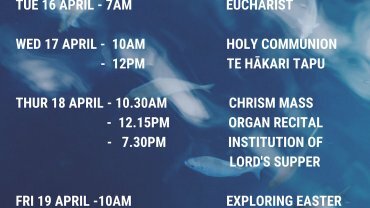 Some questions and answers about getting married at Taranaki Cathedral. Q. 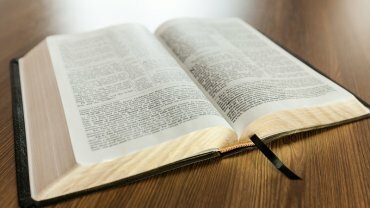 What do Christians believe about marriage? A. Christians believe that marriage is a gift from God. In the marriage ceremony, a couple make a public declaration of lifelong commitment to love each other, come what may. Q. I'm not baptised. I don't go to church. Can I still get married in church? A. Yes... This is YOUR Cathedral. You are welcome to marry here..
Q. We've decided to get married abroad but we would like a church blessing. Is that possible? A. There is no reason why you shouldn't do this. There is a service of prayer and dedication after a civil ceremony and this can be adapted. There are no legal requirements or set fees. Q. I'm divorced. Can I still get married in church? A. 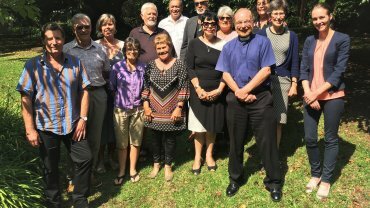 The Anglican Church in Aotearoa and Polynesia believes that marriage is for life. But it recognises that sadly, some marriages fail. Depending on circumstances, the Church accepts that it can be right for a divorced person to marry again. Come and talk to us. Even if it is not possible to do your wedding, you may have a service of prayer and dedication after a civil ceremony. Q. I'm Anglican and he's a Catholic. Does that matter? A. You will be welcome to marry here; we can talk through ways to make the service feel right for both of you. Q. Why do we need marriage preparation? A. You have probably invested alot of time planning your wedding. The day is important but we yearn for your marriage to last for the rest of your life. We offer (but do not require) an opportunity to do an superb internationally recognized preparation, called Prepare-Enrich. A. You will need a license fromthe registrar. You need to contact them directly. Q. Can we be involved in planning the service? A. Yes. We will make sure it is just right for you. There are all sorts of options - and our priority will be getting these just right. We willdiscuss the best hymns, prayers and readings to include. Q. Should we have one or two rings? A. A wedding ring is a symbol ofunending love and faithfulness, and of the commitment you are making to eachother. It is entirely up to you whether you have one ring or two. Q. Can I marry in any other colour than white? Q. Do you have rehearsals? A. Yes ! The Minister who will marry you will want tomeet you and the other people taking part in the service before the wedding, in the church, to talk to you all about what to expect. Q. May we marry on a Sunday? A. Yes ! You can get married on a Sunday provided it is not at atime of the normal Sunday services. Sometimes people get married on a Friday - there's no hard and fast rule. Next Step ? Call us or email us (see the link below). We will put our "Wedding Pack in the post to you" so you can start planning.